We have a great location in a quiet and safe area. 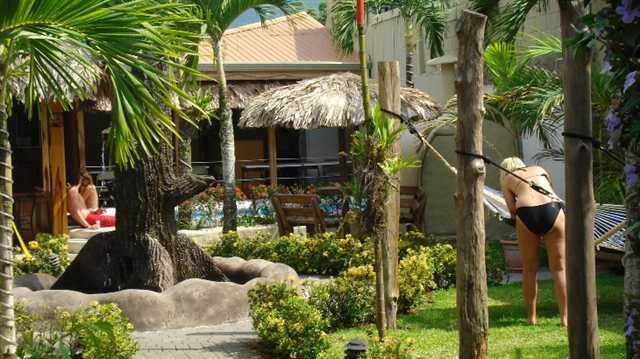 Just at 150 mts from La Fortuna bus station.We are a REAL HOSTEL RESORT. Fully equipped share kitchen - hammocks - meeting area - Free wireless internet.Arenal Hostel Resort is located in the heart of La Fortuna and very close to our hostel you will find pharmacies, supermarkets, clinics, banks and other basic needs for your convenience. Bus service and local transportation are only a block away so from here you have the best access to anywhere. While enjoying your stay in the comfort of our hostel you can explore local hangouts , stroll through the various natural attractions , perfectly manicured parks and much more. But if youre looking to simply relax in the comfort of our lounge/bar, you can swap stories about the days adventures or play a game of pool.Arenal Hostel Resort is the ideal launching pad for all your adventures in Arenal La Fortuna !Facilities:*Full Service Bar/ TV Room *Air Conditioned rooms*Kitchen (all appliances for your use) *Laundry*Clean Secure Private and Shared Rooms *Mobile Phone cards*Panoramic View of Arenal Volcano *Wi-Fi in Common Areas*Relaxing Spectacular Gardens *Bed Linen/ Towels*Safe in Rooms *Housekeeping Daily*24 Hour Wireless Internet *Free Luggage Storage *Reception 24 Hours (before check in)*ATM *Free Maps and Brochures*Luggage Storage (large bags)*Comfortable Seating/ Tables with UmbrellasNote: Arenal Hostel Resort has five buildings . First: Reception and Souvenir Shop. Second: Hostel & Rooms. Third: Kitchen. Fourth: Laundry. Fifth: Bar. 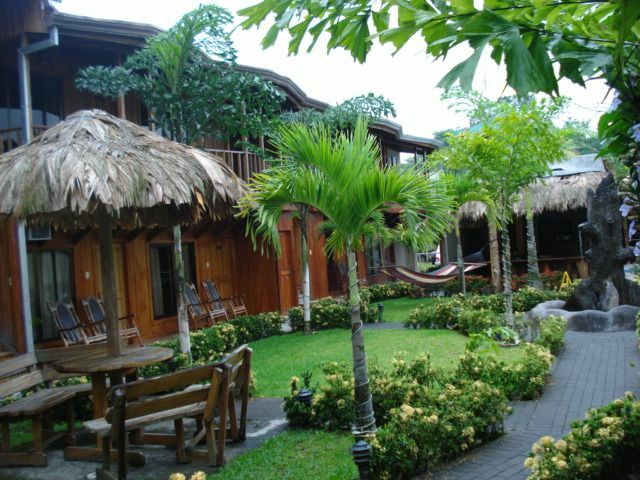 All private rooms are on the second floor with a panoramic view of Arenal volcano. From San Jose take the bus in Barrio Mexico the Bus Station to San Carlos in the mornings can take the direct bus to La Fortuna at 8:30 and 11:30 am or each hour take the bus to Ciudad Quesada and then in Ciudad Quesada in the same bus station take the bus to La Fortuna, when arrive Fortuna just walk 100 mts north and 75 mts west we are at the south side of the catholic church on the main way.